We'll help you set up bespoke templates so the documents Overture produces for you are identical to your current ones - faster to put them together and get them sent! Ever needed to keep track of radius clauses? 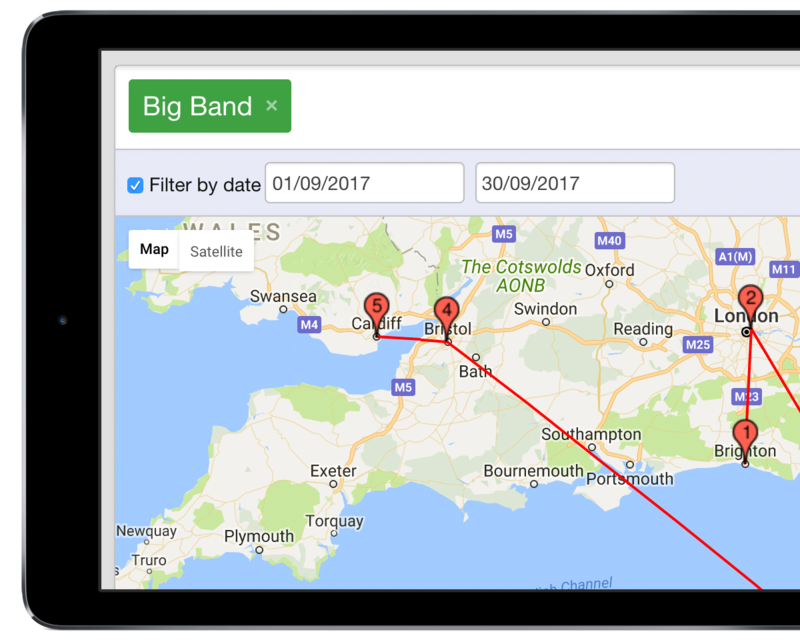 Overture will monitor where and when your artists have performed and alert you when necessary. Your artists can log into Overture to see their schedules or sync with the calendar on their phone. You can also quickly and easily publish itineraries to send to them. "The Overture team consistently provide us with support for the evolving needs of our agency. They're a delight to deal with." "Overture has replaced five separate software packages in our day-to-day business activities. It does all they used to do plus more, it's completely revolutionized the way we work at Sleeping Giant Music."